TopBox has consistently been an excellent beauty subscription box. They typically have great products, their shipping is super fast and they are a Canadian based company. What I particularly like about TopBox is that they send you an email approximately 3 weeks before your box ships with some options to set your wish list. Typically it is 4 or 5 groups of one, two or items in a collection. If none of the options appeal to you, you can opt to get the regular box. TopBox costs $12/month, shipping included (but plus tax - $13.80 grand total) and they offer multiple month subscription in 3, 6 and 12 month increments. There are usually 4 beauty samples in each package. Sometimes with the special package there can be fewer items but still within a generous value point. 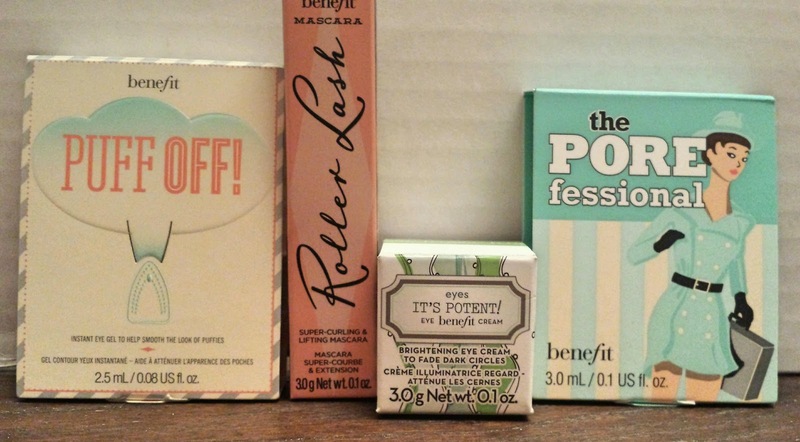 This month my TopBox selection was benefit cosmetics. I love benefit products on the whole and as you will see. There are 2 totally new products featured this month. All these items are samples sized. 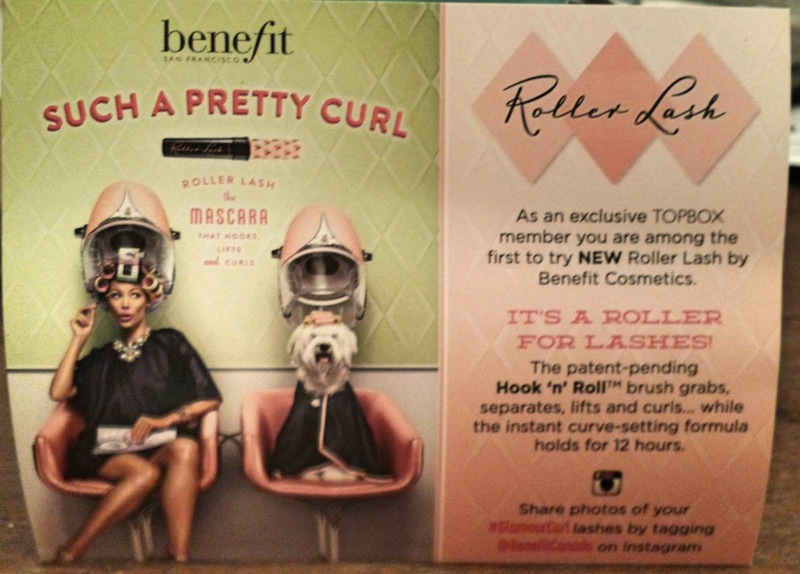 New to the benefit product line is the puff off! eye gel. Squeeze once and dot under the eye then use the tip to glide it on. Full size is 10 ml and costs $35. It's potent! 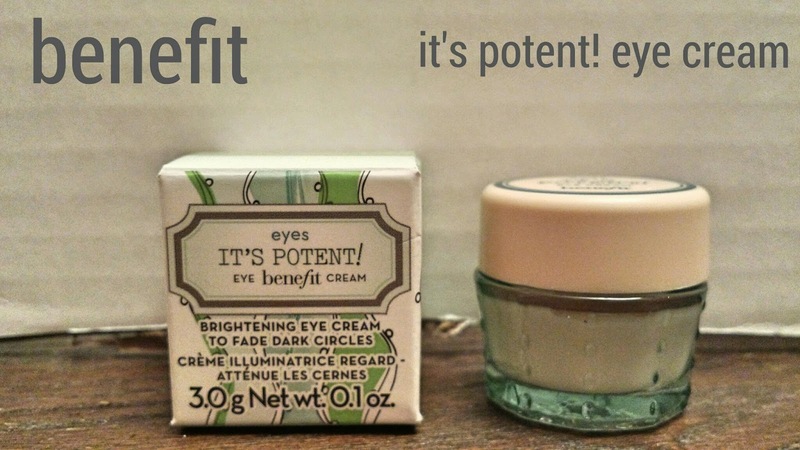 Eye cream reportedly fades dark circles and help smooth fine lines. Contains peptide complex. A 14.2g container costs $40. Roller Lash Mascara is a new style of brush called the Hook 'n' Roll. This instant curve setting formula holds for 12 hours. Available March 2015. An 8.5g tube costs $29. 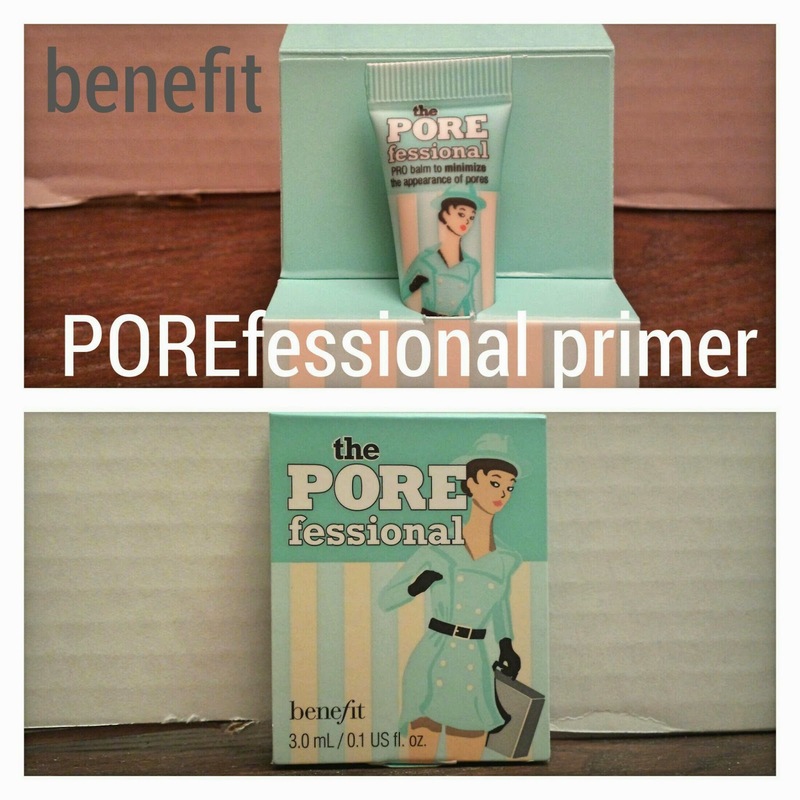 A much loved primer POREfessional rounds out the items in this package. A balm that reduces the appearance of fine lines and pores. It is a silky textured, oil-free product. I already know I love it. Cost for a 22 ml tube is $37. Of these 4 products I have only used the POREfessional previously. 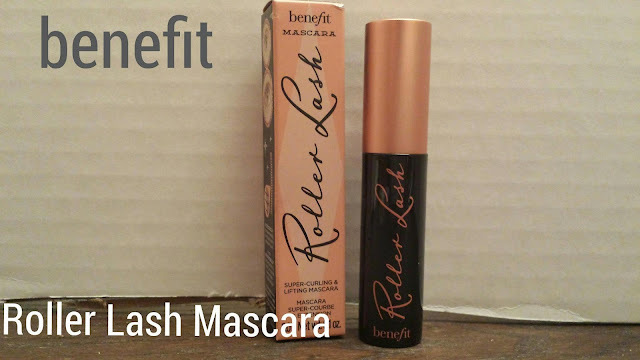 I have high hopes for the mascara in particular. Another winning month from TopBox. 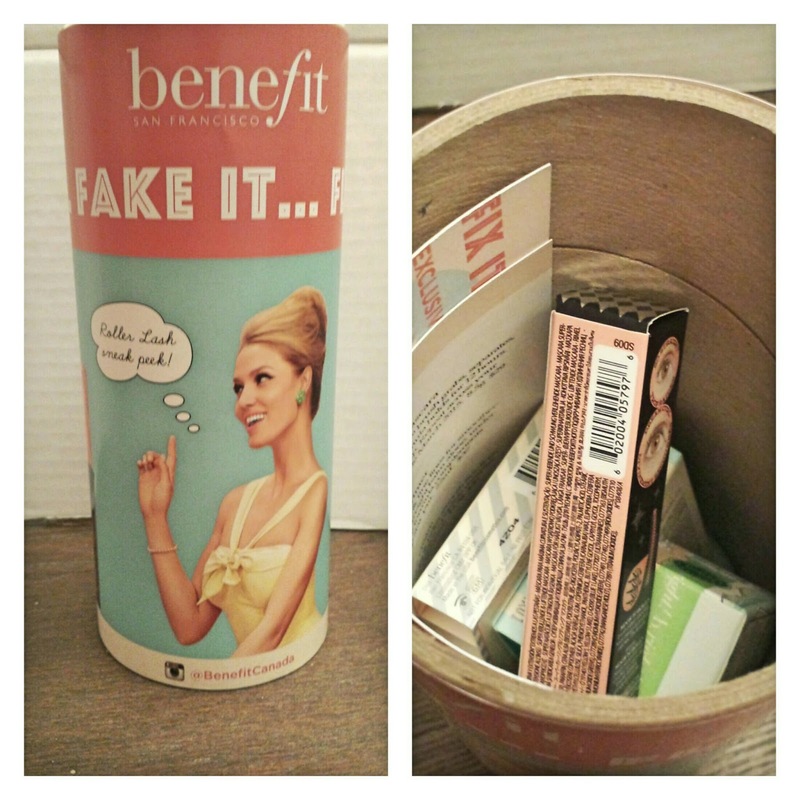 Here are my other TopBox Reviews. 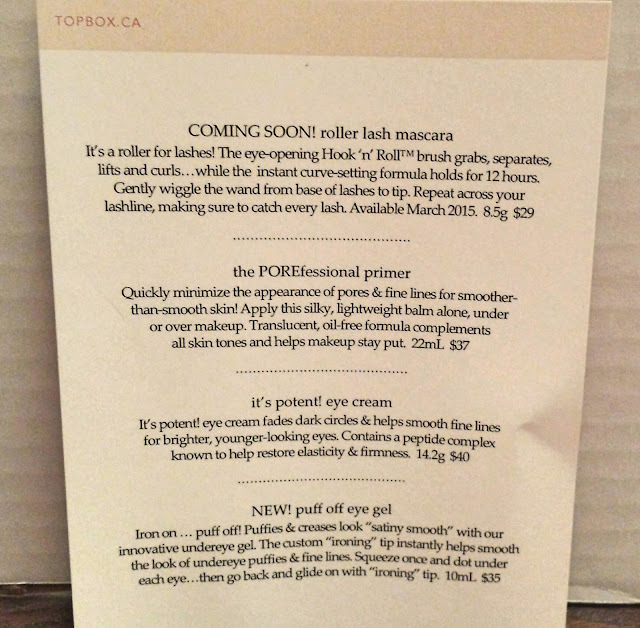 I'm looking forward to trying that mascara as well, it's been in a few of my Twitter & e-newslettes lately. Looks promising!